The Syncro van racking system will be on display in Hannover from 20 to 27 September in the 67th edition of IAA, the world’s top exhibition for road haulage, logistics and mobility. The Syncro Group will be at stand F30 in hall 13. A number of demo vehicles, equipped with all the latest ideas will be on display to allow the public to see Syncro van racking solutions and accessories for themselves. Visitors will be able to climb on board and ask Syncro’s technical staff for further details. Anybody interested will also be able to discuss specific racking projects, obligation-free. Syncro System products and services are perfectly aligned with the objective the IAA has assumed for 2018, namely to outline likely developments in future mobility. The rationalisation of space and savings in time, money and energy are of fundamental importance in this context, and something that Syncro’s custom-made racking guarantees. The themes dealt with in this edition of IAA - Commercial Vehicles include automation, connectivity, safety, respect for the environment, electromobility and the latest concepts in logistics and traffic control for the cities of tomorrow. To understand the importance of the IAA exhibition, just take a look at the figures for the last edition, held in 2016. The event takes place every two years and provides a point of reference for vehicle manufacturers, suppliers of technical and technological services and the entire road haulage supply chain. 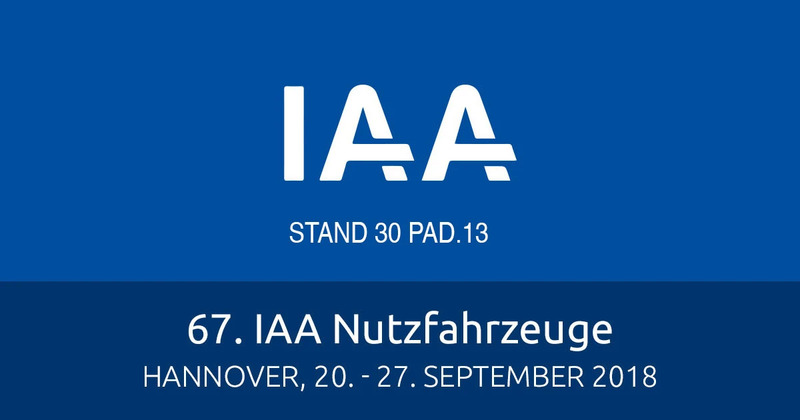 Follow us at the IAA! If you would like to visit us in Hannover, you can find tickets to the event online at this link. If you can’t fit in a few days’ break in Germany, you can follow us virtually: we’ll be posting regular updates on Syncro System’s social media channels: Instagram (@VanEquipmentSyncro), Twitter (@syncrovans) and Facebook (@syncrosistem).